In coordinating and running recreational activities, all program personnel are often spread across different locations and not at desks. The park office and camp staff running programs at sites spread across the city need to quickly communicate with each other in and out of the office. With overall management responsibility, the Recreation Coordinator needed visibility over staff member activities city-wide, and a solution that enables instant one-to-one and one-to-many voice communication. Staff would sometimes have to wait for the coordinator to arrive to ask for supplies to be restocked or get answers to questions. In other instances, camp staff could only shout to each other to communicate, and could not effectively reach anyone outside shouting distance. On field trip days, activity groups would sometimes travel up to 75 miles away from camp, and the increased distance only added more complexity and frustration. The inability to reach each other quickly to get supplies or timely answers to questions made it difficult to stay on schedule and keep operations running smoothly. The group clearly needed a solution that provides real-time voice communication with each other in a one-to-one capacity, and as a group. Given the highly mobile nature of the staff and the need to stay alert at all times, especially while working with youth and driving, the solution also needed to provide a heads-up experience, reducing or eliminating the need to fumble with their phones. And finally, the solution needed to be simple to implement and cost effective. To accomplish this, PB&R deployed Onyx by Orion Labs, a smart, push-to-talk wearable that works with the Orion Labs Voice Platform, a cloud-based platform optimized for real-time voice communications. Since Onyx pairs with any iOS or Android device and can work over any data network, PB&R is able to utilize the cell phones staff members already carry with them every day. With the real-time nature of Orion’s solution, PB&R has been able to improve scheduling reliability for participants and staff. Thanks to the design of the Onyx devices, PB&R staff now provide better service by keeping phones out of their hands and maintaining attention on participants and their parents. In addition, the staff are more productive and accessible when mobile, and safety is improved, especially while driving. Staff no longer need to interact with their phone or deal with the inconvenience of a headset, both of which are safety concerns while driving. Finally, seeing real-time locations of staff members has proved to be particularly effective in making day-to-day coordination activities far more seamless. In addition, this location information has improved PB&R’s efficiency by giving staff members the ability to get immediate answers on the whereabouts of fellow workers and program participants. The result? Easier and quicker coordination of repeated tasks with teammates, better team coordination in general from being able to see staff member locations, and ultimately, superior customer service, as staff members no longer have their phones out and can focus on their work and their clients. 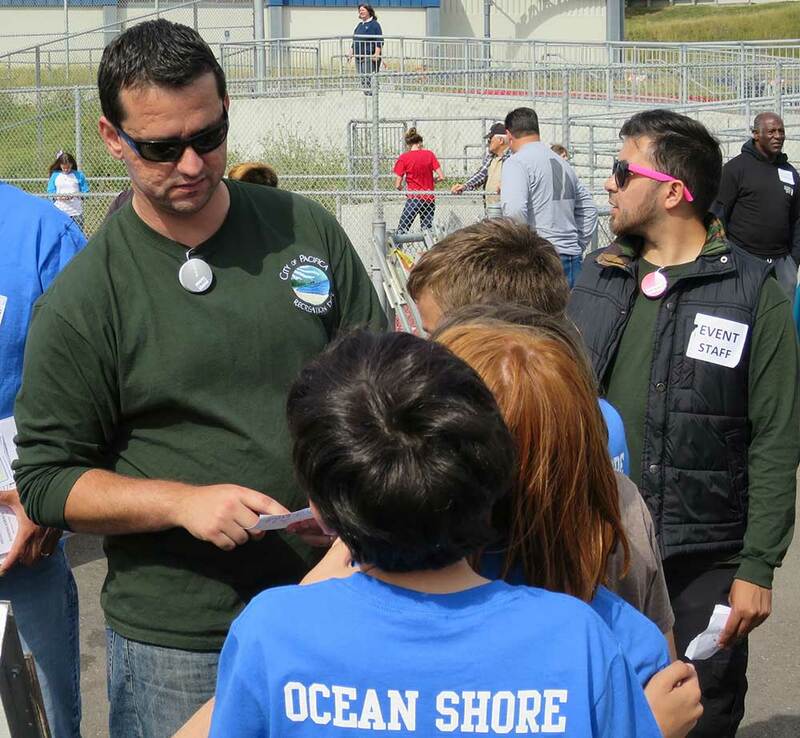 The Pacifica Parks, Beaches & Recreation department (PB&R) strives to create community and promote health and wellness through people, parks and programs. To support these goals, PB&R offers a broad range of programs and activities for young children, youth and adults such as camps, city-wide special events, after school care, aquatics, facility rentals, senior services, fitness options, volunteer opportunities and much more.